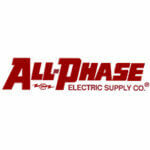 We’re one of the nation’s largest electrical supply distribution networks, with over 600 locations across the United States. We distribute just about every piece of equipment that keeps your lights on, your energy flowing and your lifestyle comfortable. Our products – and opportunity – are all around you.